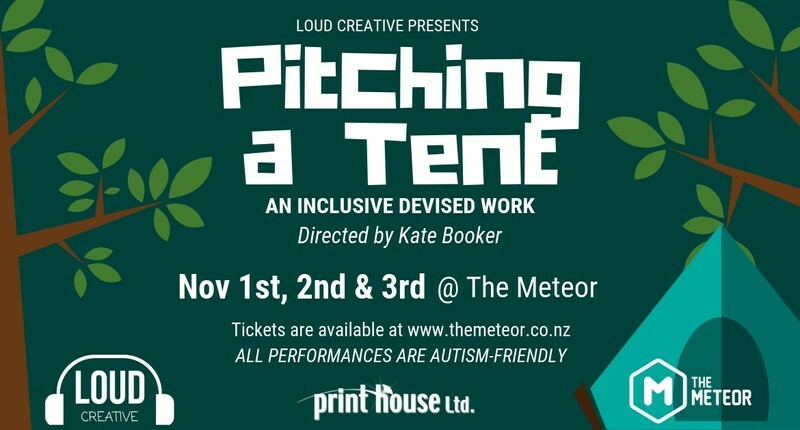 Devised by Mel Martin, Sharan Singh, Jono Freebairn, and Nick Bourchier and directed by Kate Booker, this inclusive physical theatre piece sees four old friends with different backgrounds, different personalities, and very different views on how to handle the world, take on a weekend of camping in the great Kiwi outdoors. As the group searches for meaning behind the absence of one of their own, we find out that they each have issues. However, they’re not what we think they are; and they have nothing to do with pitching a f**king tent! There will be a Relaxed Performance on the 2nd of November, which will be autism-friendly. We welcome everyone on any night they wish to join us; we only ask that the guidelines for our Relaxed Performances are respected for the enjoyment of our diverse audience.